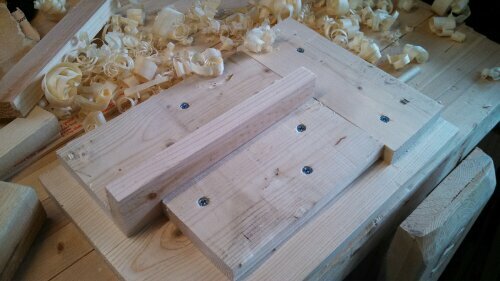 Finally got back to work on this project…I dove right in with making the staves for thr coopered base on Stage I. 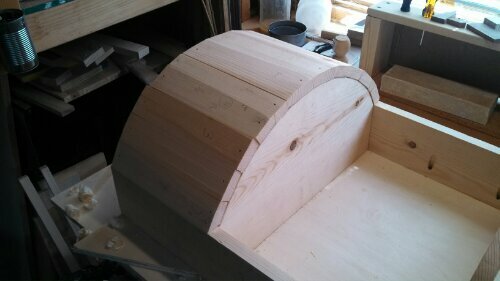 My plan is to make a nice curved wall and cut a hatch into it so Keaton can put toys inside. 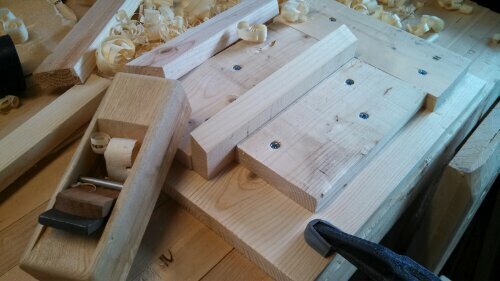 To make the bevels, I needed a jig to slide each stave into for planing. 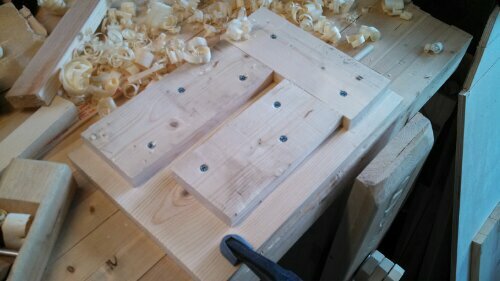 Nothing fancy, just some scrap pine cut to hole the staves on their sides. Until I had the whole front in place. 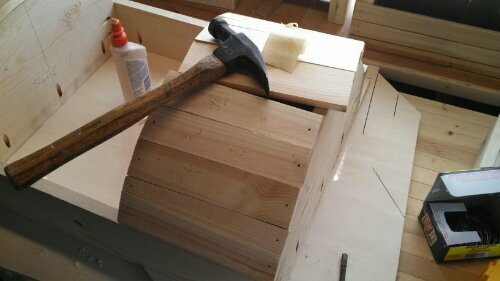 Real quick like, I hit it with the Nice Ash Plane and rounded all tye edges. A little work with the orbital sander and it should be nice and smooth. 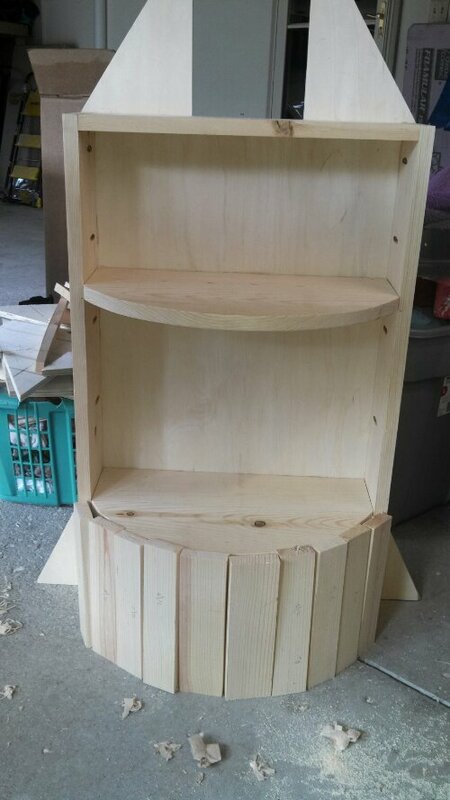 This entry was posted in Projects and tagged bookcase, jig, Nice Ash Plane, pine, rocket, WoodRiver plane. Bookmark the permalink.